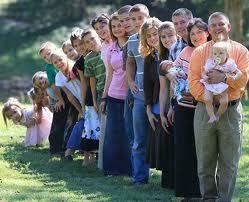 Less divorce for larger families says study | LeBaron & Jensen, P.C. The constant squabbling within a family of five or six other siblings might be a distant memory but it appears that growing up in larger families means your are less likely to divorce later in life. They’re the findings of a study by the University of Ohio that has discovered the more siblings you grow up with the less likely they are to go through divorce. Of course America isn’t the UK and the study group of 60,000 showed that for every extra brother or sister the divorce rate fell by 2 per cent. What it suggests is that bigger families promoted trust, openness, communication and other life skills which are essential in the up and down world of married life.